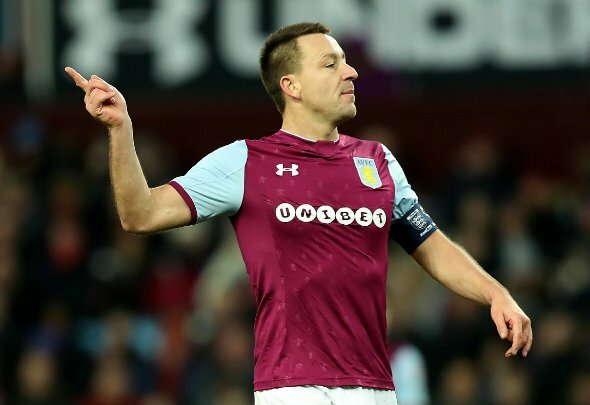 Aston Villa manager Steve Bruce has confirmed he would be desperate to sign John Terry after seeing him turn down a move to Russia but that wages are the only hurdle to securing his return to the club. The former Chelsea and England defender, who saw his contract expire at Villa Park this summer to become a free agent, confirmed that he had been in talking with Spartak Moscow but chose to turn down their contract offer for personal reasons. Speaking about a potential reunion, Bruce admitted he would love to sign Terry back up but admitted that the financial situation was a stumbling block, having spoken about his future over the summer. He told the Birmingham Mail: “If all was right and we could afford John, we would have him back in a heartbeat. But we’re not in a position to offer him the salary that he was on last season. And so the Terry to Villa speculation continues. Bruce has done nothing to suggest a move is off the cards, even if he is concerned about the monetary aspect, and this will have probably only thrown more fuel on the fire. Is he really what the club need right now? In a word, yes, for their lack of centre backs is seriously concerning, especially if they are serious about pushing for promotion this season. However, the terms of his contract demands could leave it an unfeasible deal for the Villans and they should not be held ransom to the former England man. There are other options out there to fill the void at the heart of the defence and while they might not be as proven as Terry, who was impressive when he played for Villa last season, they might prove to be better value for money. It all comes down to whether Bruce can convince Terry to take a pay cut.